It is imperative that you understand how good web design can be achieved. This lets you keep your design company in check and add valuable input during the creative process. Your website needs to be viewable on any device, there are simply too many people who completely forgo a PC in favor of a mobile device like a smartphone or tablet. Additionally, screen size varies widely today, and a website needs to display properly regardless of the size of the screen. Make sure you find a company that excels in responsive design. When it comes to website design, simplicity is your best bet. If your site overloads the users with images, text, and color, they will feel overwhelmed and your bounce rate will suffer. Additionally, users may find themselves lost on your website, unsure of what to do next. This is something you definitely want to avoid. Keep it simple and streamlined, have text blocks short, and don’t overload visitors with information. A call to action is what has your user do something on your website. It may be a “buy it now” option or something else that you want the user to complete. Remember, people are visiting your website for something to do. Don’t let them down. A website rife with spelling errors has an unfinished and unprofessional feel to it. Checking grammar and spelling is a simple step that many designers simply miss. Have as many sets of eyes on your site as possible before it launches. High-quality images taken by a professional are a great way to have your website stand out above the competition. Avoid using stock images; it feels cheap and unprofessional. That ‘generic’ feel just doesn’t give the effect that you’re after. The importance of testing cannot be stressed enough. 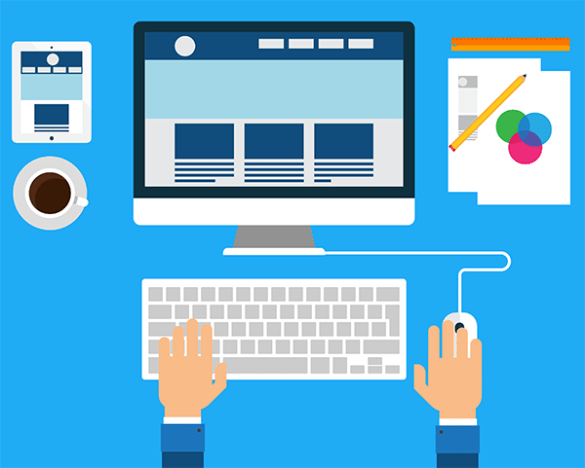 You want the launch of your company website to go as smoothly as possible. With rigorous testing, this can be achieved. During every phase of the process, the website must be tested and retested. Finally, when you’re ready to launch the website, there is a final pre-flight check. But testing doesn’t stop there. During the life of your website, it needs to be tested regularly to make sure everything is working properly. This is a part of routine upkeep and maintenance. Finding a design firm with the capability to design your website to the standard your company needs does not have to be a struggle. We have a detailed design process that ensures we meet the goals of each one of our clients. Our design and development team has been designing responsive websites for several years now. These tips laid out here are just the tip of the iceberg. Our designers and developers are experts in their fields, and we invite you to get to know them while exploring our website!